Did positive thinking and mental science help put Donald Trump in the White House? 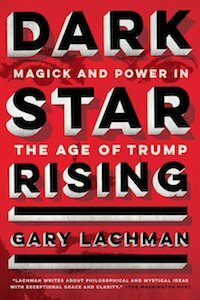 We explore this today with author and scholar, Gary Lachman as well as considering what other various magical and esoteric ideas are impacting political events across the globe. Topics: Meme Magic, The Occult, Trump, History, Now, Alt Right, Power Of Positive Thinking, New Thought, Emerson, William James, Mind Cure, Alternative Facts, Richard Spencer, Right Man, Glamor, Only In America, Synchromysticism, Nietzsche, Bannon, Evola, Chaos.